The components of a sectional sofa are connected together on the sides with dowel fittings. 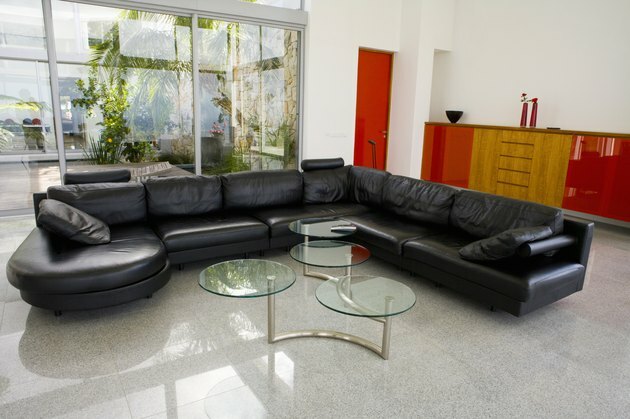 When moving a sectional couch, you should always disconnect all components before attempting to reposition the unit. Disassembling the sections allows you to rearrange the pieces to fit into a new space. You can reconfigure a sectional after disconnecting it. Locate where two components of the modular sofa are connected. Lift up the right end of the component that is on the left side. Push the right end of the left component to the left to unseat the dowels, or other components parts, from the right component. Separate the components after they are disconnected. You can now move the sectional pieces.